Manufacturers of veterinary chemical products in Australia must be appropriately licensed by the APVMA—unless specifically exempt. Before any step of manufacture can be undertaken in Australia, a manufacturer must apply for—and be issued with—a manufacturing licence from the APVMA. Before any step of manufacture can be undertaken in Australia, a manufacturer must apply for, and be issued with, a manufacturing licence from the APVMA. Licences are specific to sites, products and specific steps of manufacture, all of which are detailed in the scope of the licence and/or the licence conditions when a licence is issued. Applicants need to understand their responsibilities and obligations before applying for a licence. Part of this is understanding the Agvet Code, Manufacturing Principles and GMP Code. They should also familiarise themselves with the application process and what fees must be paid on submission of the application and annually thereafter. 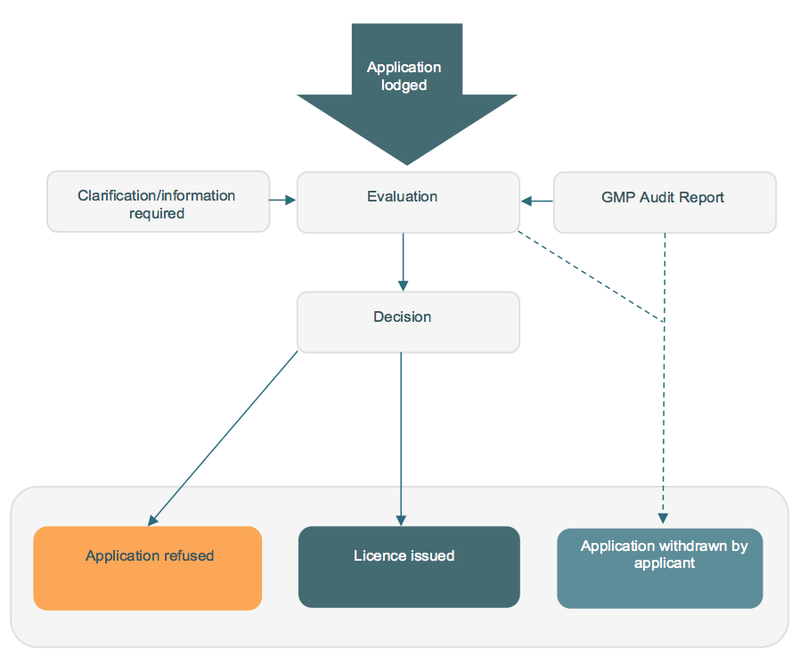 Diagram 1: Application process for manufacturing licences. Applications for a licence to manufacture veterinary chemical products in Australia must be submitted to the APVMA via the online services portal. New users of this portal will need to register for access. The APVMA online services portal includes an upload function to attach supporting documentation as well as a payment gateway for the payment of the appropriate fee via credit card. All applications for new licences are assessed by the APVMA in accordance with APVMA legislation. Part of this assessment includes a fit and proper person test which must be met before the APVMA will issue a manufacturing licence. the quality control measures that are, or are to be, employed in the manufacture of the chemical products. The Agricultural and Veterinary Chemicals Code Regulations, the Agricultural and Veterinary Chemicals (Manufacturing Principles) Determination 2014 and the Australian Code of Good Manufacturing Practice for Veterinary Chemical Products describes the responsibilities associated with the key production and quality personnel. Prior to issuing a licence we must be satisfied that the Manufacturing Principles and the GMP Code can be complied with and that the applicant will be able to comply with licence conditions. For new licences and some licence variations this can be assessed through audit. There is also scope to accept reports from recognised bodies such as the Therapeutic Goods Administration (TGA) and the National Association of Testing Authorities, Australia (NATA). You may request pre-application assistance to discuss the application requirements for a new licence or to vary a licence. There is a fee for this service. A licence holder is required to comply with the scope and conditions of their licence. This means that they can only manufacture the products or perform the steps listed in the licence. A licence holder who wants to vary the scope of the licence to include additional categories of manufacture, product types or steps should apply for a licence variation. Under the Animal Feed Reform and other measures that came into force on 5 March 2015, a number of additional nutritional or digestive products no longer require APVMA registration. It is anticipated that, in order to manufacture a range of veterinary chemical products that require APVMA registration, the majority of licensed manufacturers will need to retain their APVMA licence. Where all of a manufacturer’s products become excluded as a result of this reform, the manufacturer (holding a Category 4 licence) no longer requires APVMA auditing and licensing. For the same reasons there may be multi-Category licence holders who may no longer need authorisation for Category 4 products. Any licence holders in this position are encouraged to contact the Manufacturing Quality and Licensing Section before submitting a request to either change the scope of or to cancel their licence. The APVMA will not automatically cancel any licences. The APVMA may recognise certification or licensing from the TGA or NATA as evidence of compliance with the Manufacturing Principles and GMP Code. Recognition is given provided the manufacturer has been audited to establish compliance of manufacture of closely similar product types and steps of manufacture against a comparable GMP Code as determined by the APVMA. Any product types or steps of manufacture outside of the recognised body’s inspection scope may need to be assessed through an audit by the APVMA. Following the issue of an APVMA licence, ongoing assessment of the inspections conducted by the TGA or NATA is required.